What are Securi lid Load Roller Shutter Systems/Load Body Covers / Roller Shutter Load Bin Covers all about? 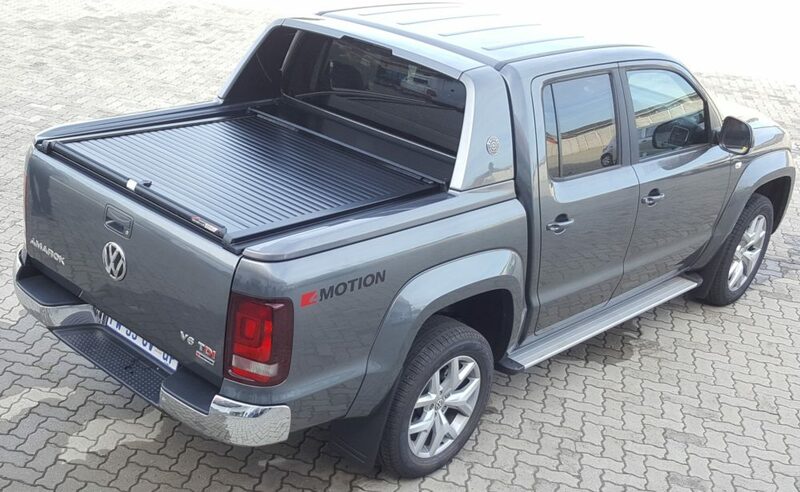 A Securi lid 216 load body cover or an aluminium roller shutter system for your bakkie works in a similar way to that of a garage roller shutter door. The 218 is about to be launched together with the automated lid. The Securi lid aluminium roller shutter system works on the exactly the same principle. It remains locked when not in use and roll’s up when you need to access the load bin. Commonly known as Armadillo. Best known as Securi lid, Lockable Bakkie Covers and Bakkie Roll Top Covers, Roller Shutter System and so on. 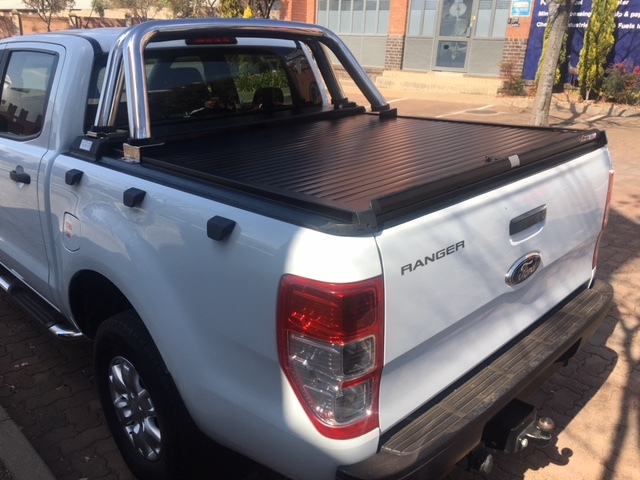 Although the Securi lid is usually referred or described by various names eg., Roller Shutter System, Load Body Covers, Lockable Bakkie Covers, Roll Top Covers, Bakkie Roller Covers and Bin Covers to name a few, it is and remains a Securi lid. The concept of the roller shutter system remains the same. We are an authorized fitment centre for Securi-Lid and we offer a superior after sales service. The quality of the Securi lid is second to none. Made of Aluminium and made to last. It’s just a quality product. How does Securi lid work? Securi-lid is an Aluminum load body cover that gets mounted on the top of the load bin of the vehicle. The cover is manually operated. It has a Strong spring system that allows the lid to be easily retracted into the shutter bin located just behind the vehicle’s cab area. It takes up a relatively small space of the bin area (approx. 30cm) It rolls exactly in the same way as a garage roller shutter system. A rope pulley system allows you to pull the securi-lid back towards you with relative ease. When the door is closed, it clicks back into position. You can then use your key to lock the cover. 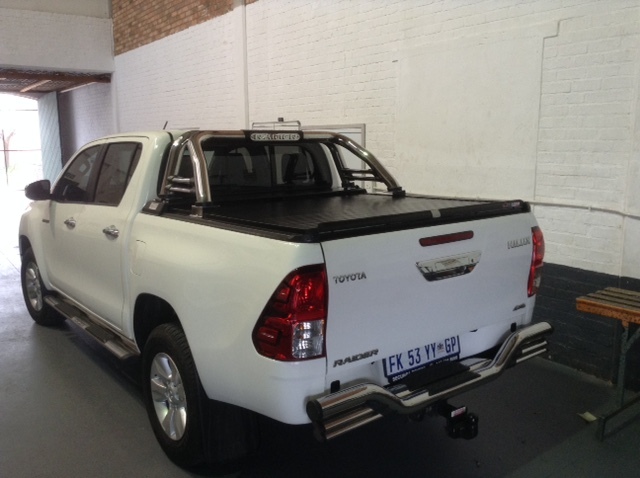 This roll top cover is a superbly strong and sturdy Lockable Bakkie Cover that looks amazing on any vehicle. Securi-lid Lockable Bakkie Covers come in three different colour variants. White, Black and Silver. The covers come with a 1 year warranty on the actual lid and a three year warranty on the spring system. Is the Securi lid Lockable Bakkie Cover completely waterproof? The answer is simply no. In fact, no lid is 100% waterproof. Don’t be fooled. In this respect, the Securi lid Roller Shutter Doors are not completely waterproof. The Securi lid has a advanced water drainage system that is built into the unit, allowing for proper drainage. In cases of torrential storms and flooding, you may experience some leaks. 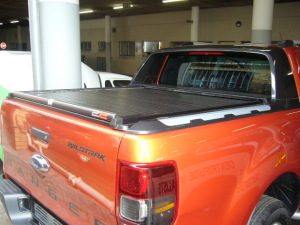 However, the Securi lid Lockable Bakkie Cover has a built in drainage. When the vehicle is being washed water could enter through the tailgate where water would have naturally entered anyway. It’s important to take note of this as it could easily be mistaken for leaks coming through the slats of the Roll Top Cover. How secure is the Bakkie Roll Top Cover? the tailgate allowing maximum protection against theft. Securi lid is the only roller shutter door to offer this extra protection. Once your load body cover is closed and locked you will not be able to access the Bakkie unless the Securi lid is unlocked which is fantastic. It’s a product that looks good and offers maximum protection at the same time. 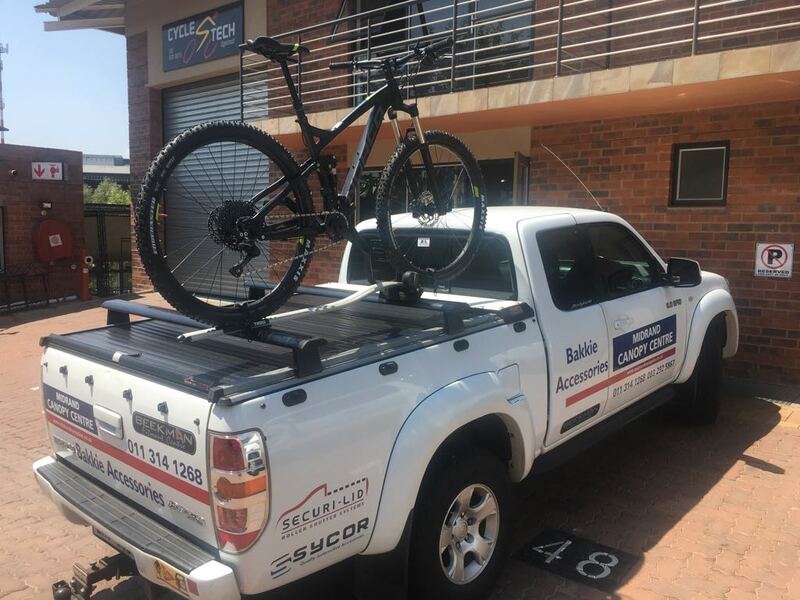 Securi lid Bakkie Roller Cover will certainly will enhance the looks of your vehicle. Securi lid looks good on any vehicle. All you need to do is take a look at the colour of your vehicle and choose one of the 3 colour variants that will best compliment the natural good looks of your bakkie. An example, a burnt orange Ford Wildtrak looks stunning with a black Securi lid on it’s loadbin. Black and Silver are the popular colours with black being most popular. Does your bakkie have a Roll Bar? If it does, you will still retain your existing roll bar. Roll Bar conversions are done by tailoring/cutting the rollbar. It is then remounted on special brackets to fit on top of the Securi lid. It does not matter whether is it stainless steel or mild steel. Without this, you would not be able to keep your rollbar, as it would not fit. The conversion will cost you a little extra but nothing that would break the bank. Does it matter where you fit your Securi lid? Yes it does. You need to find an approved fitment centre if you want a trouble free Securi lid fitment. Bakkie roller covers need to be properly installed the first time. Guard against using an unauthorised fitment centres or else you will experience never ending issues with your Securi lid. Keep your sanity. Only consider fitting a Securi lid at an approved fitment centre. Make sure to service your lid at least once annually. Securi lids are available for almost all makes of Bakkies. Come and have your Securilid Roller Shutter Cover fitted with Midrand Canopy Canopy Centre now. We also stock the racks to mount your bicycles. Price on roll top for 2013 nissan navara 2.5 le dci d/c. Does the securi lid come in automatic i.e. No need to pull it open and close – it is automated ? If so at what cost compared to the manual one. How much would it cost for a LOCKABLE BAKKIE COVER for a chev utility bakkie?